Georgia residents are legally required to carry car insurance in order to drive vehicles on the state’s roads. While coverage and requirements for auto insurance may vary depending on a particular state, Georgia law mandates that drivers have a 25/50/25 policy, or $25,000 in liability coverage per person, $50,000 in coverage per accident, and $25,000 in coverage for property damage. This requirement is intended to help ensure that a driver at fault for an accident has the financial means to compensate those injured or affected by the crash. Unfortunately, not every driver in Georgia purchases the required minimum auto insurance, and some fail to carry a car insurance policy at all. In other cases, you may be involved in a car accident in which the other driver has only purchased the minimum amount of coverage required and you sustained injuries or incurred medical costs that exceed $25,000. You may be entitled to pursue an uninsured or underinsured motorist claim in order to obtain the compensation necessary to pay for the remaining cost of your bills or damages. 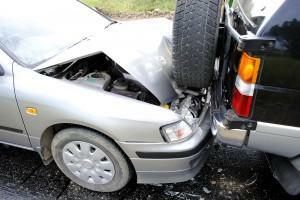 Uninsured and underinsured coverage is an additional policy that you can purchase from your auto insurance company. A law was passed in Georgia in 2008 requiring insurance providers to offer this coverage unless the policyholder specifically rejects this protection in writing. The uninsured/underinsured coverage will go into effect should you sustain injuries following a car accident involving a driver without insurance or if your medical expenses or costs exceed those covered by the other party. Although you could file a lawsuit against the other driver, if he or she does not have the financial means to pay for insurance, there is a strong likelihood that he or she will not have many assets or income. Therefore, you may not be able to collect money from the other party even if you won the lawsuit. On the other hand, pursuing an uninsured/underinsured claim with your own provider means that your company essentially takes the place of the other driver and compensates you much in the same way. However, although uninsured and underinsured motorist coverage exists to cover the remainder of your bills and expenses up to the limits of your policy, many find that their insurance providers refuse to pay their claims. In an attempt to protect their bottom line and own financial gain, many insurance companies attempt to deny valid claims or offer victims a low amount that does not fully compensate them. As a result, many individuals in these situations seek legal counsel to ensure they receive the maximum compensation to which they are entitled. Individuals who carry insurance are entitled to receive the full protection that they expect when they purchase an insurance policy. In the event that you are faced with an insurance company who is unwilling to pay a legitimate claim or who offers you a lower amount than what you feel you are eligible, contact an experienced Georgia uninsured/underinsured attorney who can help to protect your legal rights. Contact Van Sant Law for a free consultation so we can discuss your situation, your legal rights, and how you may be able to move forward with a claim for compensation.